Just when you thought I’d well and truly gotten over my brush stroke phase, here we go again! 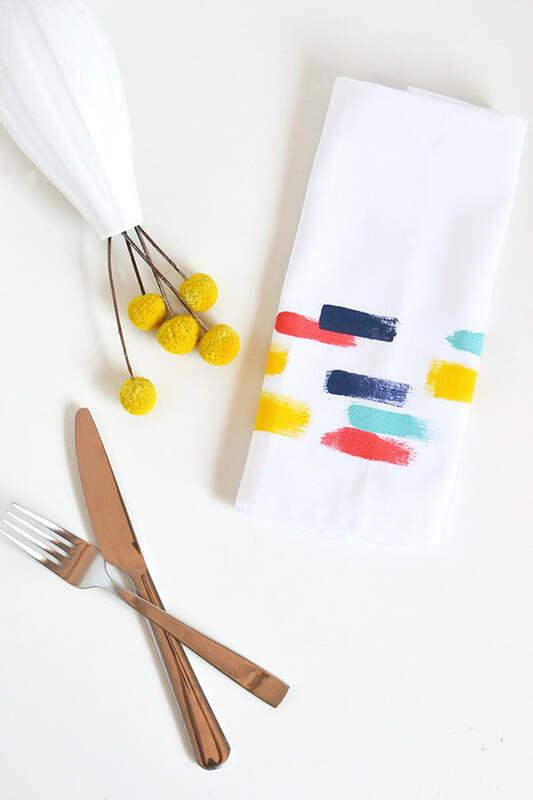 This time I wanted to give some plain white napkins a bit of a make-over to change them from uninspiring linens to statement pieces. 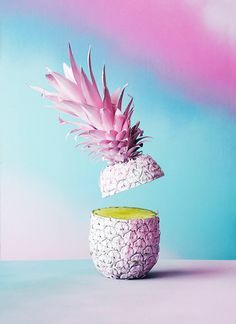 Ha, that sounds totally pretentious but it’s true – I was after something that’d stand out in an otherwise ordinary table setting, and I think this fits the bill! 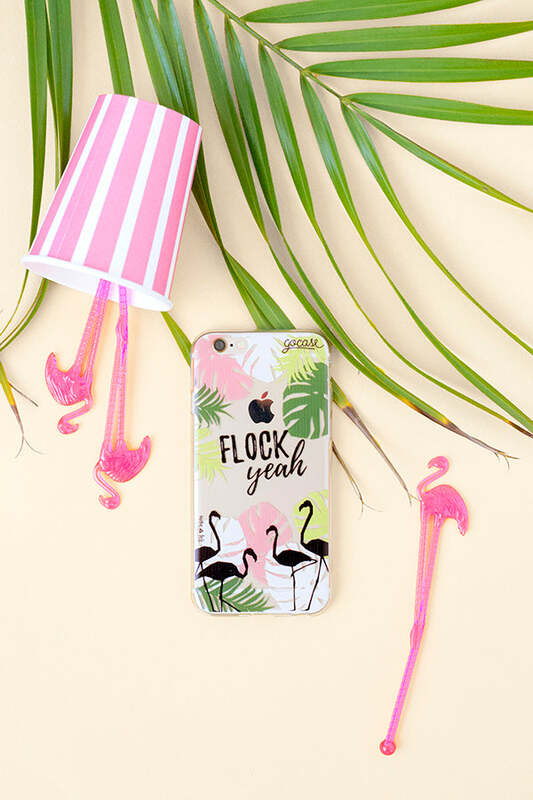 Did I mention these are so very easy to DIY? 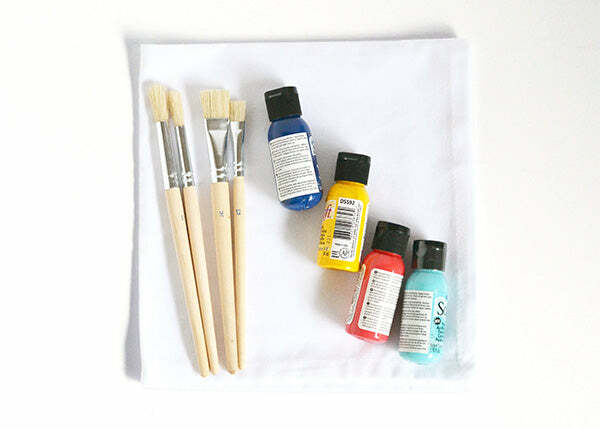 All you need is some fabric paint and a few napkins, so get those supplies out and let’s get crafting! 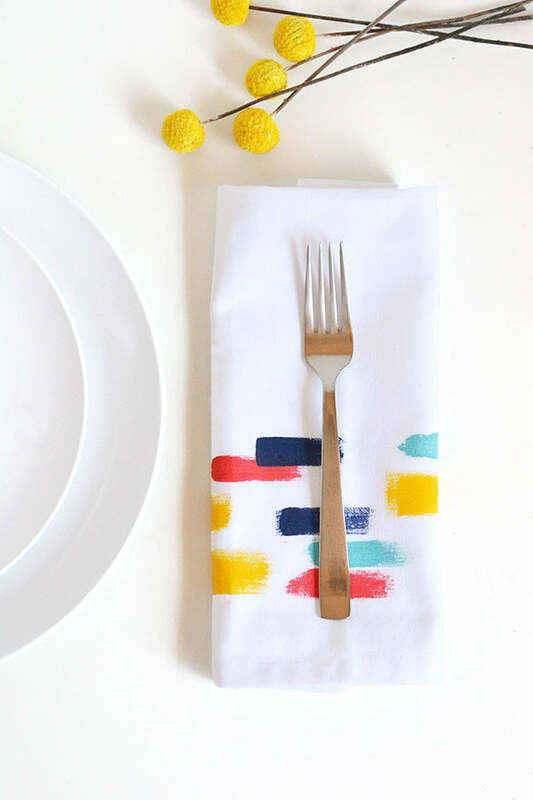 Give your napkins a good wash and iron to prep them for painting. Then lay down your sheet of plastic and place your napkin on top of it (this will protect the surface you’re painting on). 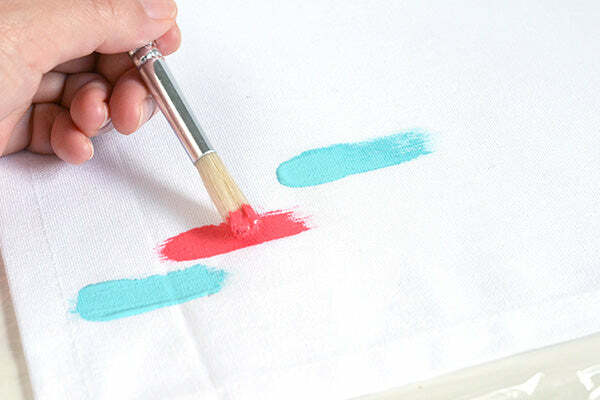 Get out your paintbrushes and start painting on your brush strokes at the base of one side of the napkin. I used a few brushes so I had one for each shade which was much easier than having to wash my brush between colours. 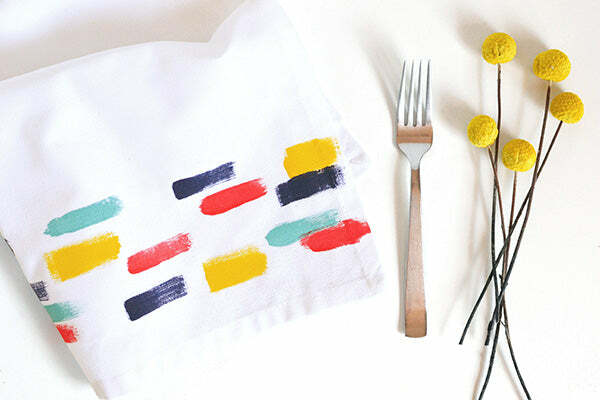 Leave your napkins to dry and if your fabric paint requires it, set the paint according to the manufacturer’s instructions (depending on the paint you use, it might require heat setting with an iron). What do you think? Pretty nifty for minimal effort and time! 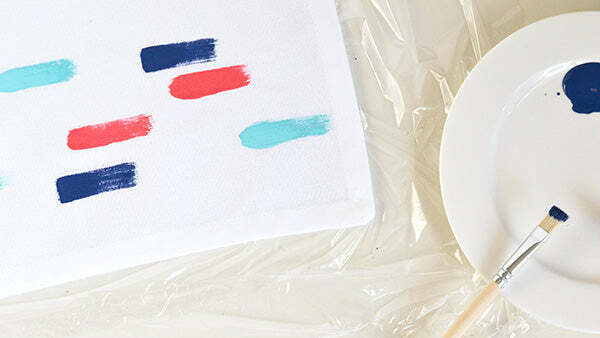 This is a very similar process to the brush stroke scarf I made earlier last year so if you have those materials on hand already, then you’re pretty much all set for this project. Also, don’t be afraid to experiment with patterns! I lined up my brush strokes in a strip at the bottom of the napkin and used lots of colours, but you could keep it to just one colour. 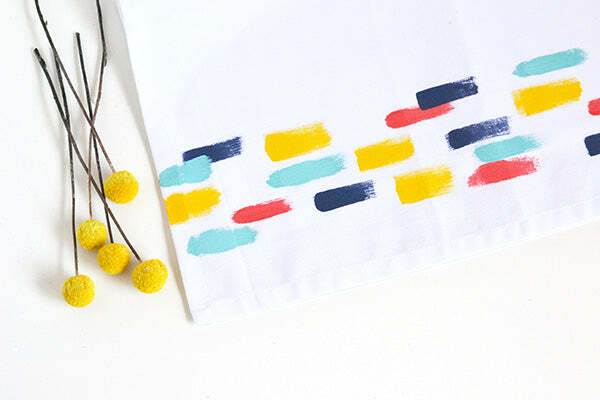 Or fill the whole napkin with brush strokes… whatever takes your fancy! These are darling!! Fabulous idea. Thank you my dear, I’m so glad you like them! Oh, these are lovely – and so simple. This would be great on a larger scale to jazz up white curtains although I don’t know if I would be brave enough to do it to curtains! 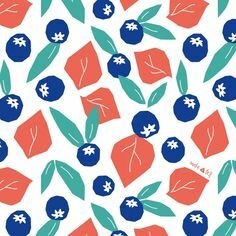 I am a MS Patient and I would love to buy the napkins and draw my on design. I really like that idea !! This so simple but oh so pretty and adorable. Great work.